Shalom and Welcome . . .
… to Congregation Beth Shalom, a Conservative, egalitarian synagogue, and a spiritual and communal home to nearly 400 families. Our vibrant congregation, founded in 1975, continues to grow and thrive through meaningful Jewish observance, learning, fellowship and service. 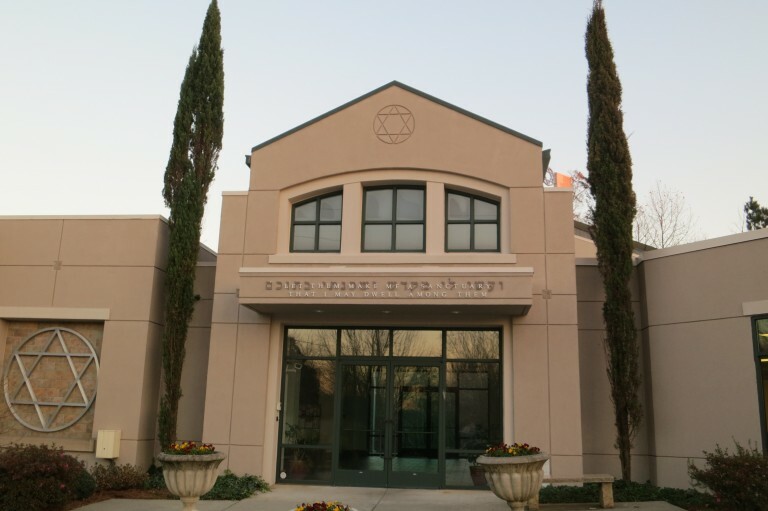 Beth Shalom has won the Synagogue of Excellence Award numerous times. The United Synagogue of Conservative Judaism (USCJ) award is given to only a few synagogues in the region each year for exceptional performance in multiple areas. Beth Shalom has been recognized for our services, adult and family education courses, religious school, preschool, family retreats, USY and Kadima youth groups. Our many programs enable our members to connect to their Judaism and to each other while they learn by doing. Shabbat and Holiday services are a special time at Beth Shalom, infused with ruach (spirit) and the enthusiastic participation of our musical congregation who love to sing and pray together. Congregants regularly join the Rabbi on the bimah to lead prayer, chant Torah and Haftarah, blow the shofar, or even help teach. We are committed to sharing the joys of our simchas together, as well as supporting one another during life’s challenges. We encourage our members to support the Jewish community, the State of Israel, world Jewry, and engage in Tikkun Olam. We are a true community, offering a wide range of ritual, social, cultural, recreational, educational, preschool and youth activities that engage our membership and nurture a community built on lasting relationships. Services are special at Beth Shalom – warm, inclusive, and infused with ruach (spirit). Congregants regularly join the Rabbi on the bimah to lead prayer, read Torah or Haftorah – even blow the shofar. Our sanctuary is inviting, accommodating and child-friendly. Whatever your level of comfort or experience, we invite you to join us any time for Shabbat services and then to stay for a delicious, Kiddush luncheon – a great time to shmooze and get to know the Beth Shalom family. Erev Shabbat: Friday, 6:30 p.m.
Tot Shabbat, Mini Minyan & Jr. Congregation: 10:30 a.m.
Kiddush follows Shabbat Morning services in our social hall.